Hanns and Kate Paul have a small flat roof on top of their three story Kings Cross town house and wanted to make use of the space. 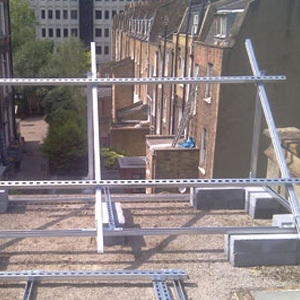 With their requirements and location taken into careful consideration, we were able to offer them a custom built mounting frame for the solar panels to optimise the space available. 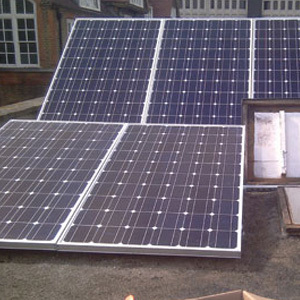 Using 5 of the popular Sharp 245W modules with a SMA Sunnyboy 1200, they are now looking to generate their own electricity from what must be one of the most central Solar PV systems in London.